The first two groups of humans to see the Christ Child - at least according to the scriptural account - couldn’t have been more opposite. Shepherds, in Jesus’ day, were a despised class. Only slaves and prisoners were lower. 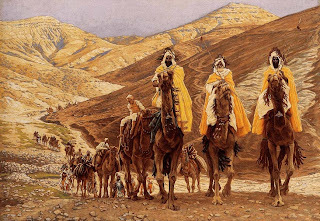 The Magi, though their occupation and origin isn’t clear, were certainly from an upper-class crowd, given the expensive gifts they bore, the distance they travelled, and their apparent advanced learning. Fast forward, and today, at least in this nation, those roles appear to be reversing. The “poor” are an increasingly courted class and the wealthy (excluding movie stars, sports stars, and political liberals) are an increasingly despised class. By “courted”, I mean the consolidation of political power through the cultivation of a dependent class which will act as a reliable stable of voters. Historically, this has been most easily accomplished by vilifying the “haves” and inflaming the envy of the “have-nots”. Seeding envy between the classes for the purposes of social division and the concentration of power is nothing new. Marx made a science of it. And 20th century tyrants soon employed it to fertilize the earth with human blood. Earlier, it served the French Revolution - justifying the unending basketfuls of severed aristocratic heads. Hitler’s use of it is perhaps history’s most profound demonstration of class war as a weapon of propaganda. Recall that Hitler’s “final solution” did not begin with boxcars and gas chambers, but with the objectification of the Jews as the cause of Germany’s economic woes. Hitler’s class war gradually conditioned ordinary Germans to no longer see the Jewish people as “the Jewish people” but “the Jewish problem.” Thus were the boxcars of Jews headed to death, able to rumble undisturbed through idyllic German villages, and Dachau’s neighbors, nonplussed, as they hoed the steady rain of human ash into their tidy gardens. The 20th century death toll of class war is a thought we should keep in mind as our nation is further goaded into it through the persistent demagoguery of “the wealthiest Americans”, a campaign Christians sometimes unwittingly join because it looks and feels like social justice. No, we need not fear the prospect of box cars and gas chambers. 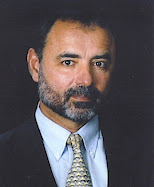 In contemporary America, the ends of concentrated political power can be more neatly accomplished through the direct cultivation of a dependent class, which in 2012 , is now “mission accomplished.” According to the Senate budget office, welfare spending is now at $168 per day, outpacing median “worker” income which is lagging at only $137 per day. In other words, the dependent class is now larger, fiscally speaking, than the class upon which it depends. However, even the most liberal experts admit that the president’s proposed increased tax on “the rich” won’t run our bloated government (which is borrowing at the rate of 188 million dollars per hour) for more than eleven days! Thus, we are left to assume that the rhetoric of fairness is a ruse, and “the rich” are simply convenient whipping boys. But beyond that, and to the Christian point, the much overlooked fact is that class war is rooted in Envy, a capital sin. And as Christians, especially as preachers and teachers, we must be wary of the political machinery crafted to conscript our “preferential option for the poor” in the service of political ends, which, as the once-Cardinal Ratzinger (now Pope Benedict XVI) has said, will end up “betraying the very poor we mean to help “(Instruction on Certain Aspects of the “Theology of Liberation”, 1984). The rhetoric of justice, equality, and fairness, in their current political concoction, may meld well with a Christian ethos, particularly a sentimentalized one. However, in the service of envy, they mask sin, a mortal one, and help no one. It is clear from Luke’s account that the shepherds and magi probably didn’t run into each other at the manger. 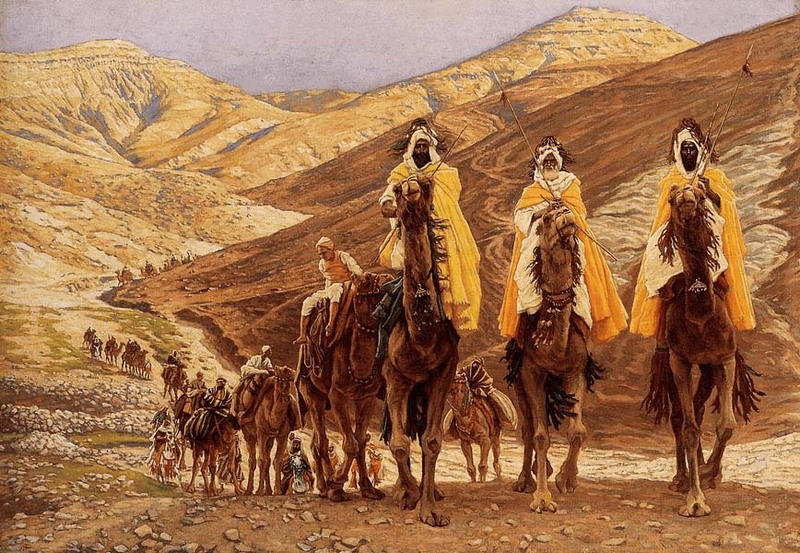 The magi are thought to have arrived a year or two later. However, the presence of both shepherds and Magi, in every nativity scene and story, speaks to the absence of caste and class in the presence of Christ. Like the Magi, let us not return the way we came.